CUBA: A detainee died over the weekend at the US prison for “war on terror” suspects at Guantanamo Bay, Cuba, the ninth since the detention center opened in 2002, the US military said Monday. The detainee, who was not identified, pending notification of his country's government and his next of kin, was found “unconscious and unresponsive” by guards in the prison's Camp Five on Saturday during a routine check, the US Southern Command said. “After extensive lifesaving measures had been performed, the detainee was pronounced dead by a physician,” it said in a statement. Camp Five is a facility that “houses those detainees deemed to be the highest threat to themselves, other detainees or guards,” said Jose Ruiz, a spokesman for the Miami-based Southern Command. 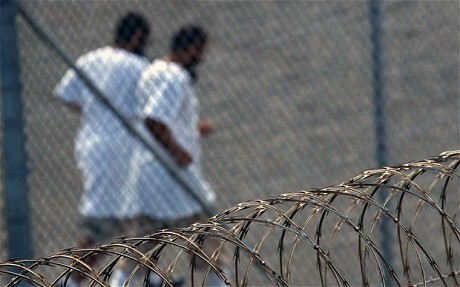 Eight other detainees have died at Guantanamo since 2002, including six suicides, Ruiz said. “At the time of his death, no charges have been filed for a crime for war and he has not been designated for a prosecution by the office of the military commission,” said another Southern Command spokesman, Ray Sarracino. He was on disciplinary status for splashing a “cocktail of urine and other body fluids” at a guard at least once, Sarracino said. Prisoners at Guantanamo have staged periodic hunger strikes to protest their confinement, but Ruiz said the detainee who died over weekend was not engaged in a hunger strike. Among the inmates in Camp Five is Omar Khadr, a young Canadian who pleaded guilty in 2010 to killing a US soldier in Afghanistan in a grenade attack and has been seeking transfer to prison in Canada. Most of the 167 prisoners currently at Guantanamo are housed in Camp Six, a facility that allows communal living arrangements among the inmates and is designed for less intensive monitoring by guards. The command, which gave no other details on the circumstances surrounding the death, said an investigation into its cause and manner had been opened by the Naval Criminal Investigative Service. The detainee's remains “are being treated with respect for Islamic culture and traditions,” it said. “The remains will be autopsied by a medical examination team from the office of the Armed Forces Medical Examiner. Upon completion of the autopsy, the remains will be prepared for repatriation,” it said. The Center for Constitutional Rights condemned the new death and said there is only party to blame. “Whatever the cause turns out to be, it is clear that the United States government is ultimately responsible for his death.” it said in a statement. “Military investigations into several of the deaths at the base remain under a cloud of suspicion; and the Center's clients, families of two men who died there in 2006, never got their day in court or the chance to know the truth about what happened to their sons,” it added.